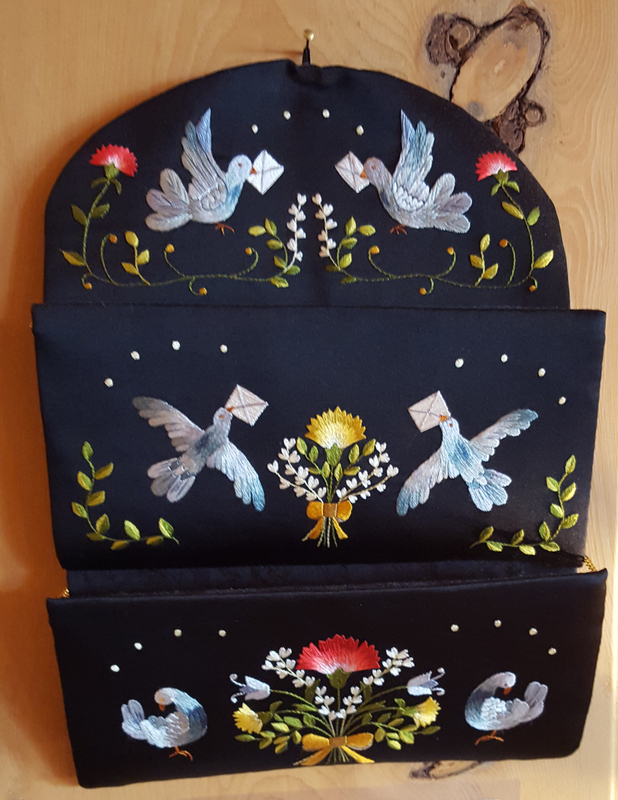 Kammtaschen (toilet bags to hang up on bedroom or living room walls) were very popular during the late 17th and the 18th century. They were found in households all over Europe. Usually there were three or four compartments to fill with toiletries, notes or letters. 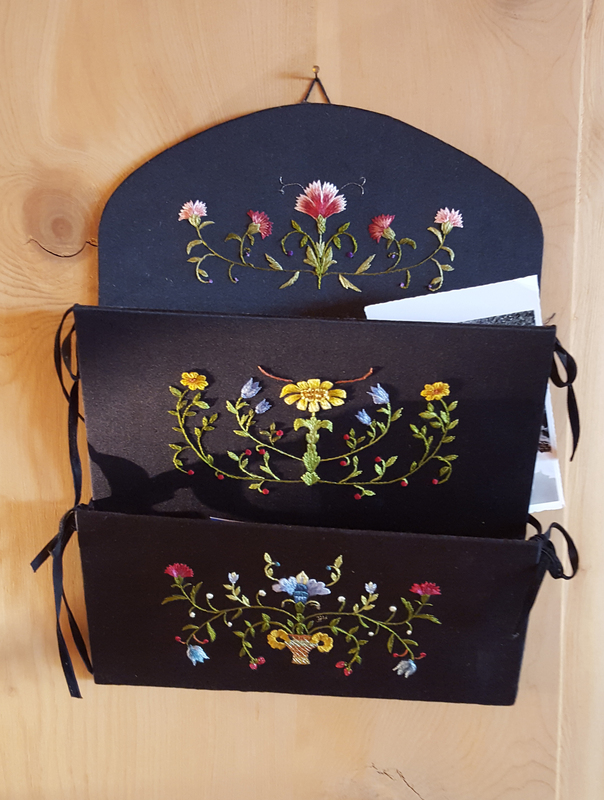 The Kammtaschen of the Grisons were of a very particular type: made of black taffeta, embroidered with silk threads and occasionally metallic thread. The embroidery technique used was silk shading. Beatrice Herger-Kieliger is a Swiss textile artist to continue this tradition; the two pictures show some of her beautiful works.